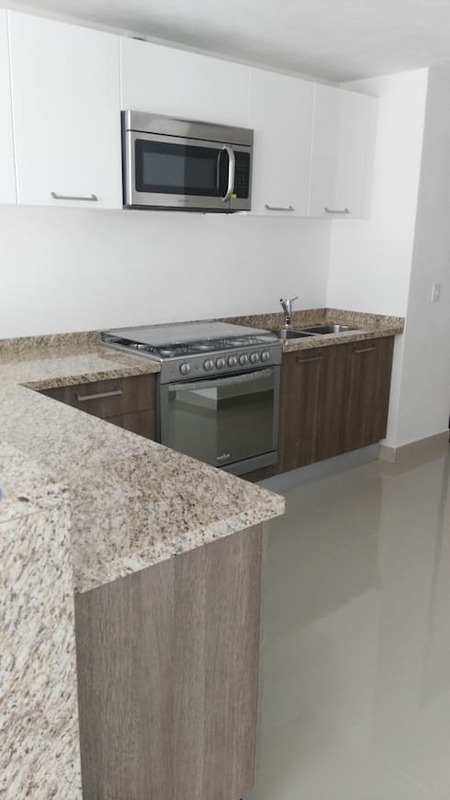 Investing in the construction of your kitchen is very important, unfortunately there’s a lot you have to buy and it’s not usually cheap, but there are ways that you can reduce your spending by looking at the different materials on the market. The materials must be chosen for functionality, durability and price, which is a lot to consider, but don’t worry! Today we’re bringing you twelve options for different construction materials that’ll hopefully help you to design a great kitchen without great cost. 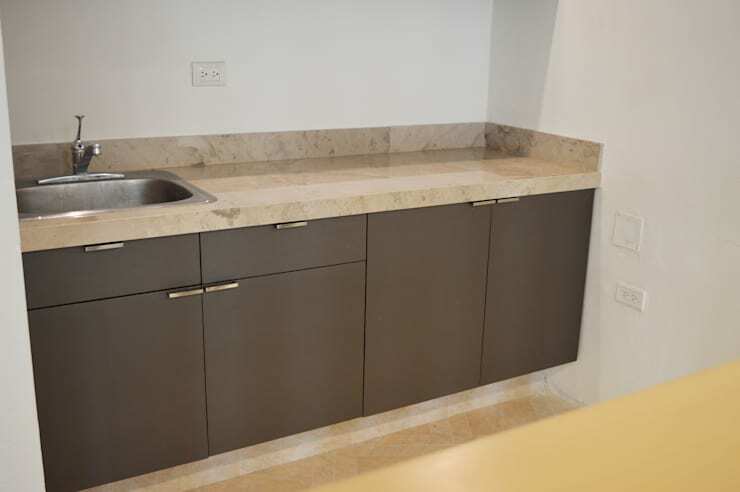 If you use melamine for the cabinet doors and the drawers of your kitchen, then you can save money to use on investing in a marble or granite countertop. 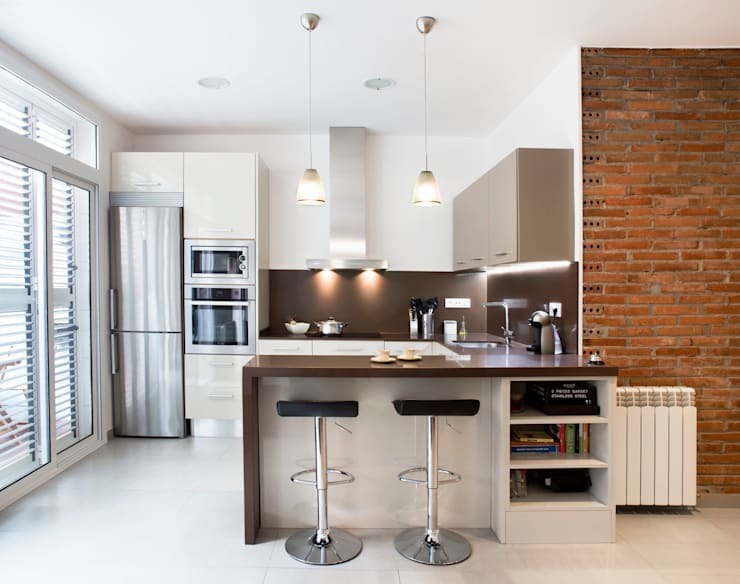 If investing in equipment, or marble or granite for the kitchen countertops, has left your pocket a bit empty, then exposed or even painted brickwork can make for a great finish to your walls without incurring further expense. 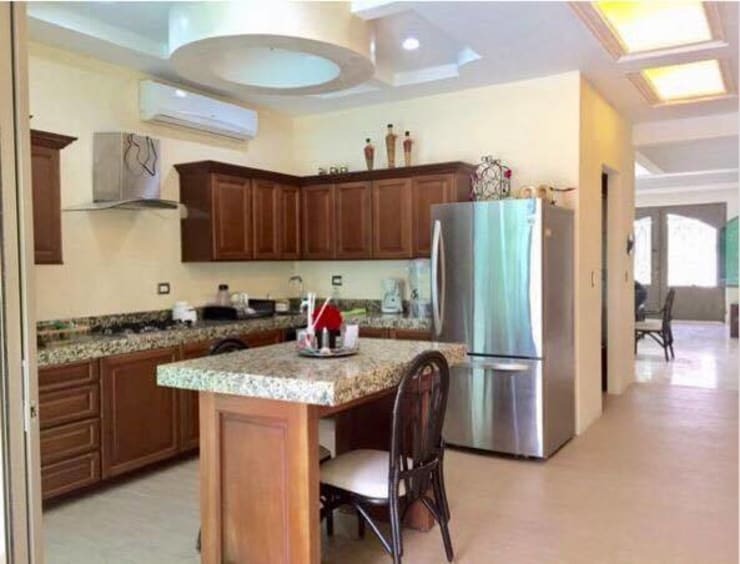 Granite or marble have traditionally been the stones used in kitchen countertops, and with good maintenance of either of these two materials, they should last a very long time. They may be expense, but they’re also extremely durable. 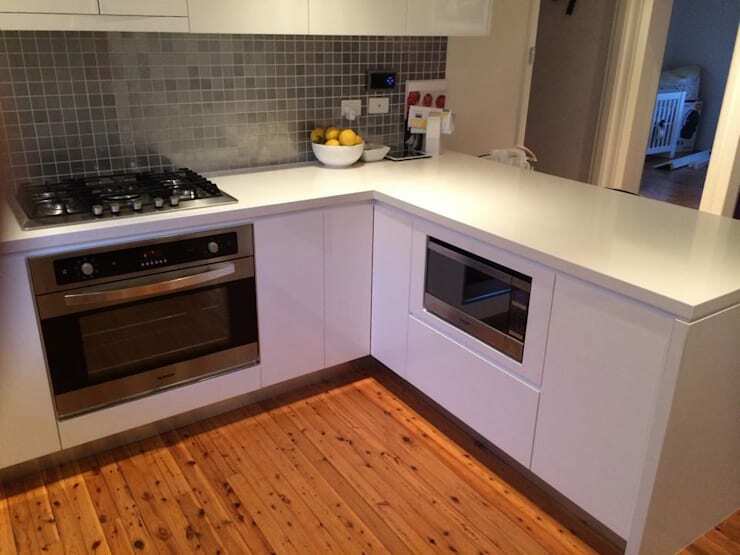 More economical than granite or marble, silestone is a good option for the countertops in your kitchen as it’s also resistant to scratches, bumps and stains. 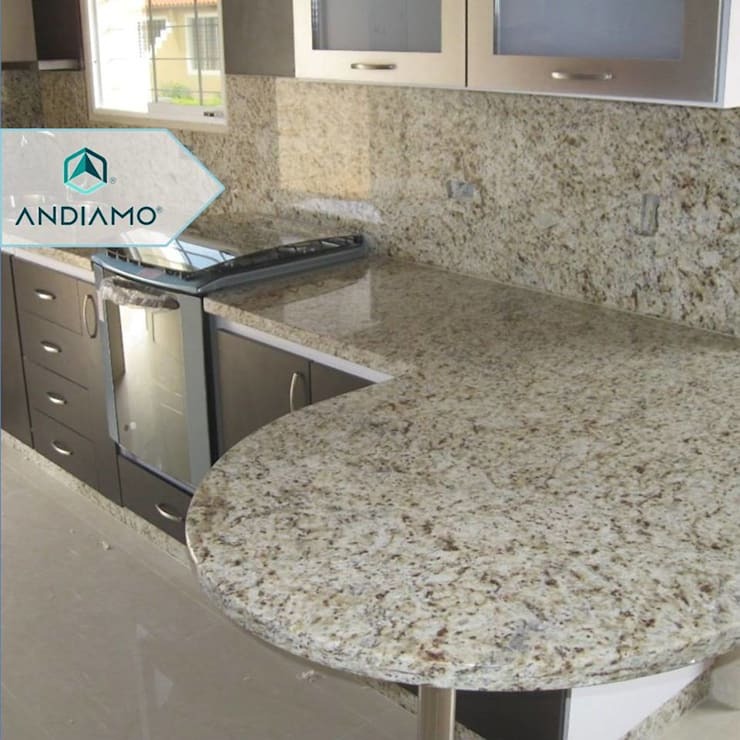 This material, quite new to the market, consists of 94% quartz and stone and 6% plastic. 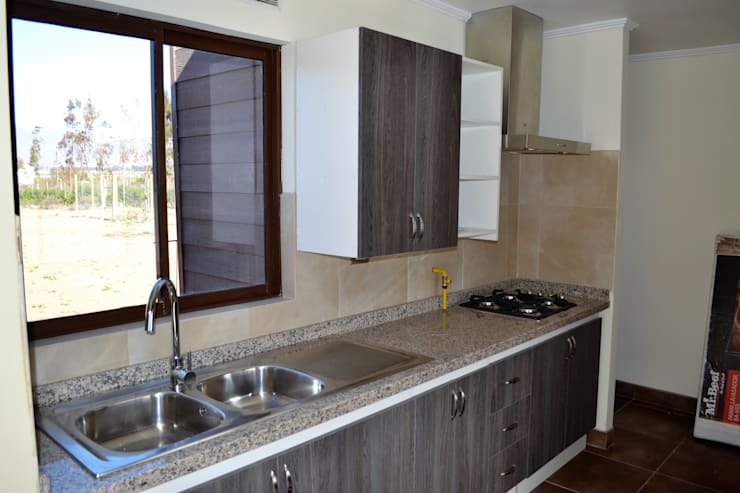 PVC laminates are great for kitchen cabinets and drawers, with a wide range of designs to choose from and a guarantee of durability. With microcemento, you can cover any surface and be sure of durability and resistance. Polished concrete is a superb choice too as it creates a very economical smooth surface. Open, wall-mounted shelving is a much cheaper alternative to closed cabinetry. 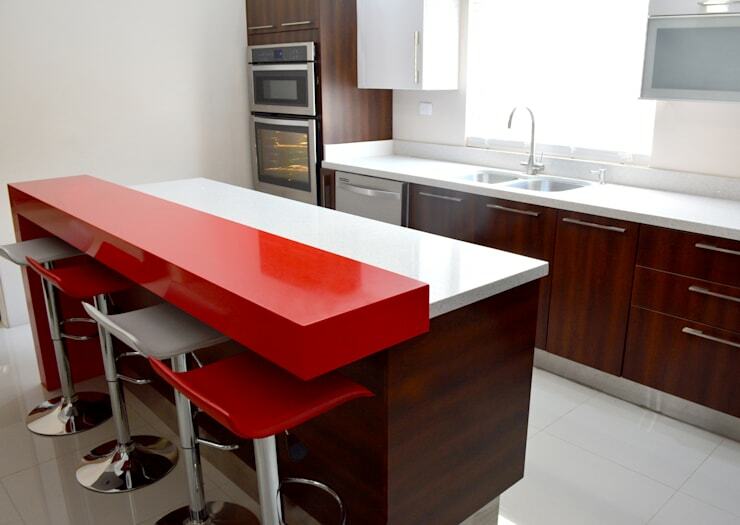 This material Corian is a coating widely used in the kitchen countertops that guarantees a good finish, comes in a wide range of colors, and withstands moisture. If you need an island in your kitchen then you can adapt a piece of furniture by placing a countertop on it. 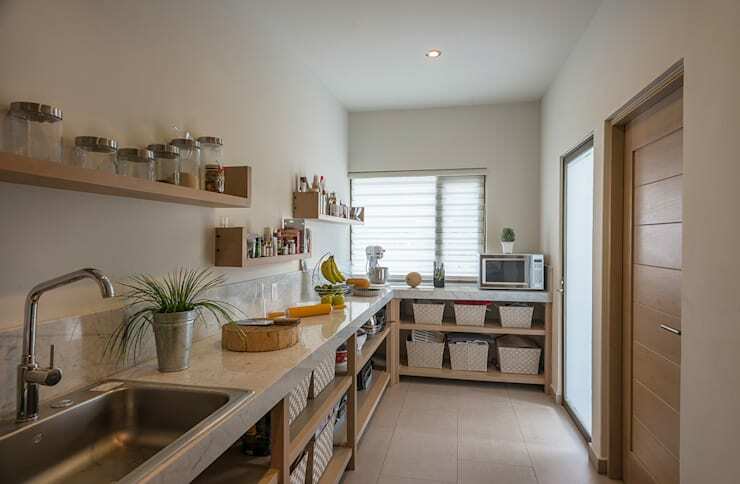 In a small home you still need to find space to store the tableware, tablecloths and cutlery, so invest in multi-purpose furnishings like the cabinetry above that has a stove built in. The base of the kitchen furniture is indispensable, as it’s very important that you have it to protect against the moisture that can be pasted under the piece of furniture when cleaning the floor. This protects the possible deterioration of the laminates used in the doors of the furniture; guaranteeing their durability. 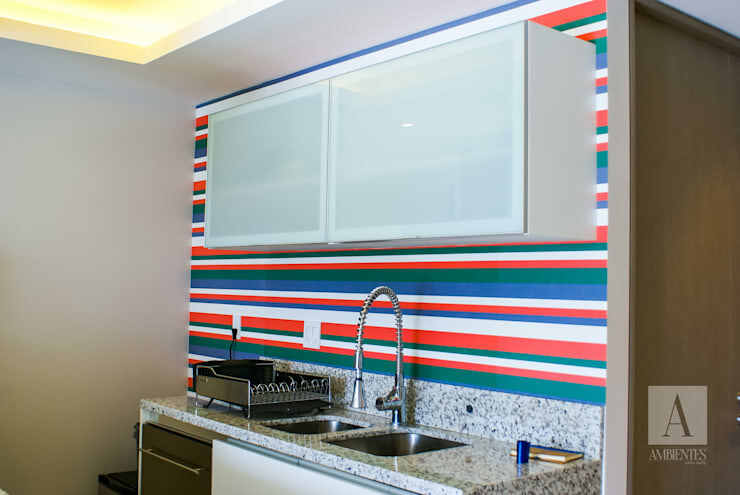 You can purchase washable and resistant wallpaper specifically designed for use in the kitchen; providing a cheaper, attractive way to finish your kitchen. For more, specific advice on materials and their costs consult a professional. In the meantime, take a look at this list of common kitchen mistakes for more, great kitchen design advice. Translated from an article by Graciela Cabrera. 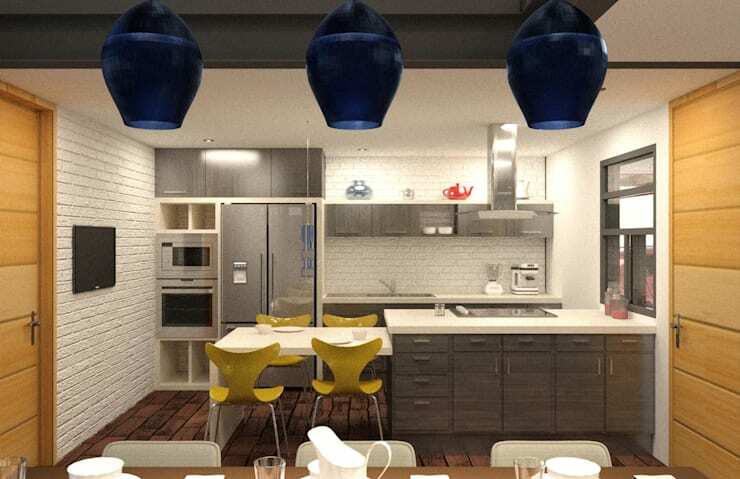 Do you know any clever ways to cut the costs of kitchen design? If so let us know in the comments below!